Follow the way of love is a beautiful reminder of His commandment to always love one another. 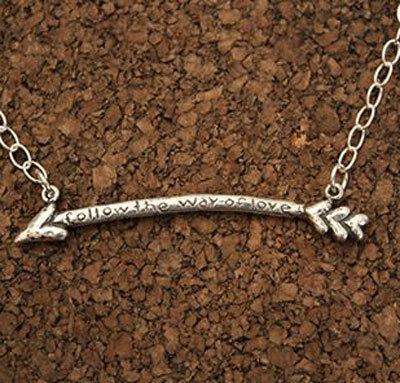 This unique piece features an arrow that reads "follow the way of love" on each side of the arrow. 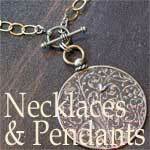 The chain is connected to each end and comes in a standard 16" as it is meant to wear up high by the hollow of your neck. The front and back of this piece are the same!